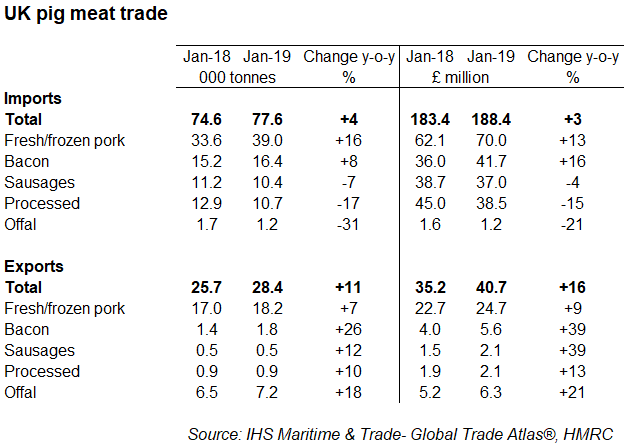 The UK pork trade in the first three months of 2019 saw both exports and imports increasing year-on-year. All categories of pig meat recorded increases in export trade, while the increase in imports were driven by fresh/frozen pork and bacon. Total pig meat exports (excl. offal) in January were up 8.5% compared to a year earlier to total 21,500 tonnes. 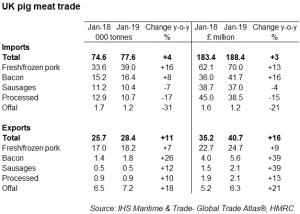 Fresh/frozen pork recorded the largest increase in volume terms, up 1,200 tonnes to total 18,200 tonnes. 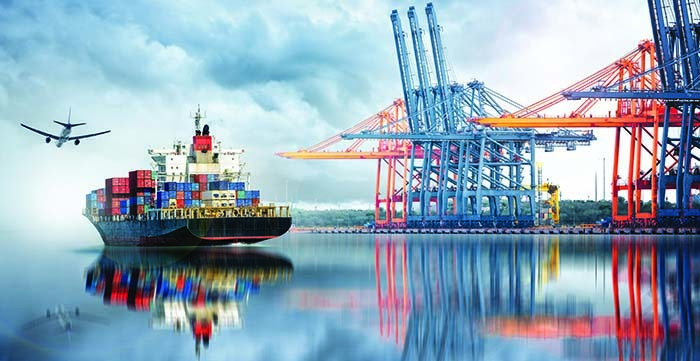 Exports to China have recorded significant increases, up 72% to total 4,500 tonnes and this was the second largest market in volume terms. Mr Forshaw added: “Total pig meat imports were also up in both value and volume. Imports for January totalled 76,500 tonnes (+5%) with a value of £187.2 million (+3%). Fresh/frozen pork and bacon categories have driven the increase, up 16% and 8% respectively. Meanwhile, processed hams & shoulders were down 17% (-2,200 tonnes).